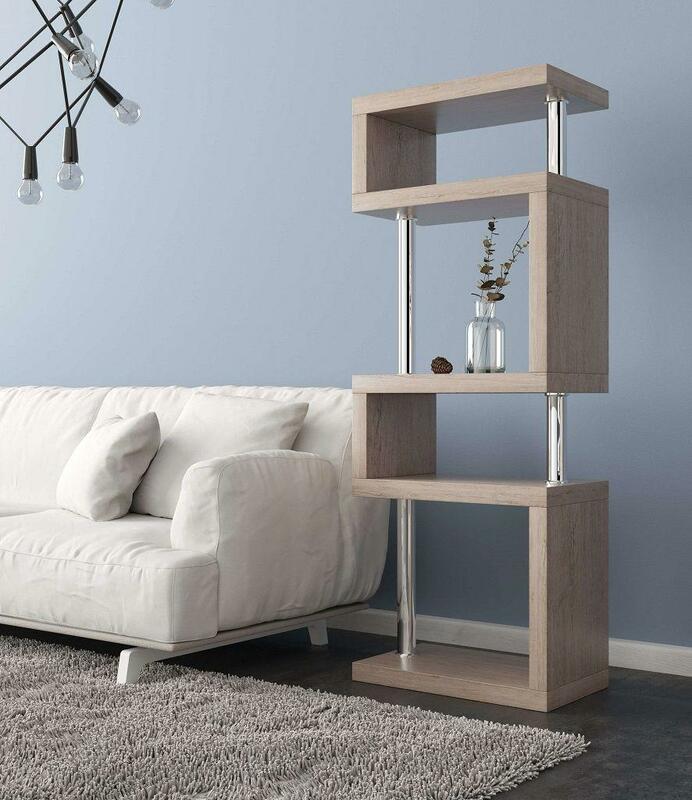 Whether you need a bookcase, shelving, storage or even a room divider, the White High Gloss Large 'S' Bookcase is the unit for you! 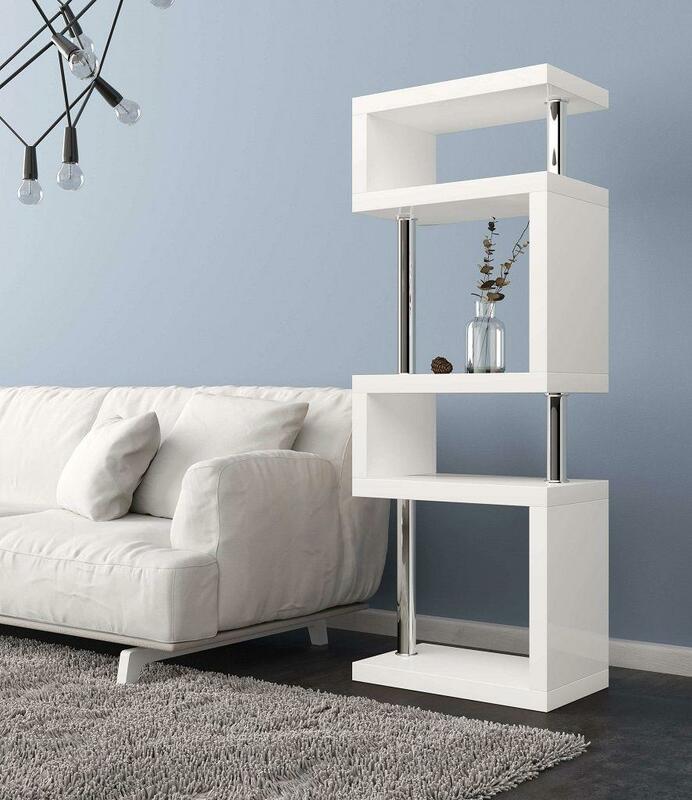 Boasting the sleek white gloss frame and contemporary chrome finished supporting columns you'll be proud to display your favourite items within in your Home. Perfect for books, photographs, flowers or even sculptures, or all of them with 5 shelves! You can place it in your living / dining room, bedroom or even your home office to help keep your home organised and stylish. 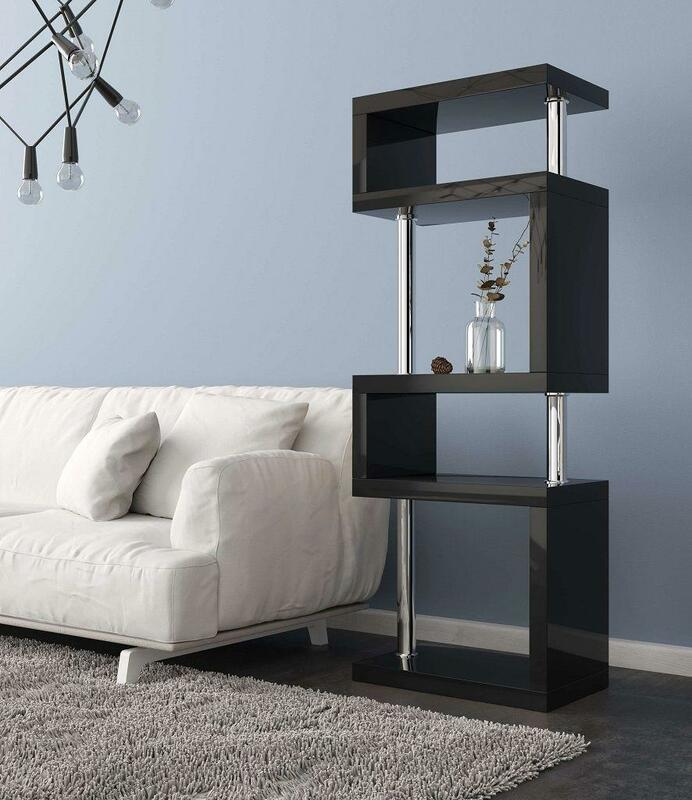 If you love this Bookcase but looking for another colour, it's available in White, Black, Grey & Ash!